With the world population expanding at a rapid rate in this day and age, many parents are quite conscious about taking care of their newborn children. More and more families are becoming rather selective and discerning when it comes to the health and wellbeing of their precious infants, and this protective instinct stems from the fact that many babies are prone to acquiring various diseases or illnesses. As such, parents are more vigilant than ever so that they could give their tiny bundles of joy a fighting chance at living past their infancy. Despite how most people find them to be cute and adorable beings, babies are still fragile creatures that require considerable care and attention to ensure that they remain protected from various health threats. And one of the surest ways that parents can help boost the immune system of their babies—outside of helpful vaccines and medicines—is by giving them proper nutrition by way of a carefully curated and well-balanced diet. But food designed for babies is not like how adults decide to choose food for personal consumption. The market for baby food products is a flourishing and highly competitive industry, what with so many brands out there clamoring for the attention and patronage of interested parents wanting only the best for their offspring. 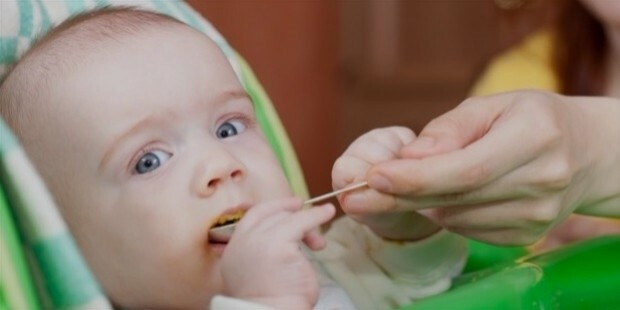 Within this special industry is a growing niche for baby food made using organic ingredients and methods, as it is generally accepted by health professionals that eating organic can benefit not just adults, but babies as well. That being said, take a look at some of the organic baby food brands featured right below. 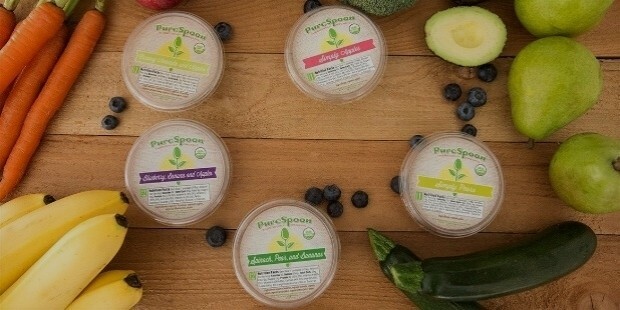 What makes Pure Spoon different from their competitors within the organic baby food market is the fact that they use the process of high pressure pasteurization or HPP, which yields a shorter shelf life to their products but fully maintains their purity and freshness. The company offers pureed selections created from fresh and organic vegetables and fruits, ensuring that babies get the highest amount of vitamins and minerals. Best of all, they’re great for busy working parents who don’t have time to make meals for their babies. With so many of today’s baby food products being packaged in pouches, Beech Nut remains one of the few brands to still store their creations in glass jars. 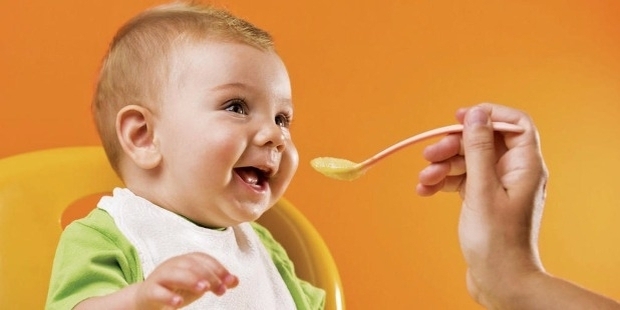 Despite their traditional methods, the company ensures that their baby food passes the strictest quality standards. 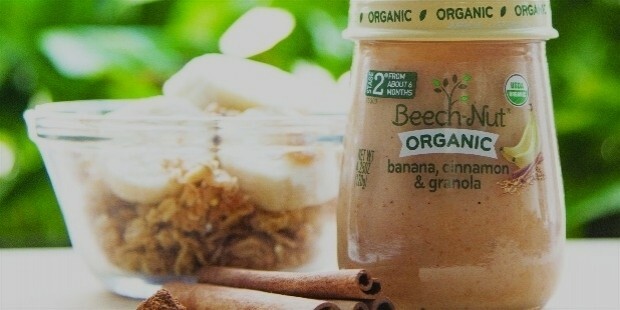 Apart from their committment to being an organic baby food brand, Beech Nut is also making great strides on making sure that their production methods are environmentally friendly and that they are conscious about implementing sustainable recycling programs. One of the biggest challenges of making pre-processed baby food is keeping them fresh without losing their nutritive value. NurturMe has made itself distinct from other brands by utilizing the process of freeze drying to ensure that the nutrients are completely retained. 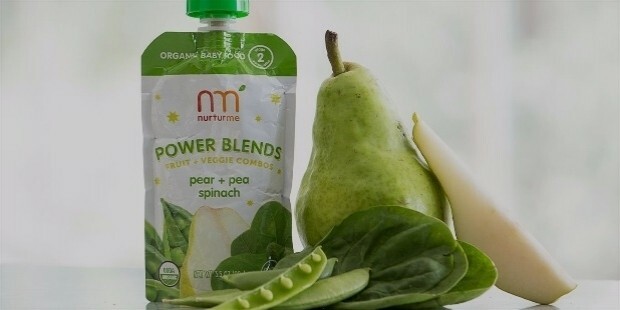 Because of this intelligent method of nutrient retention, all parents need to do to prepare the freeze dried baby food is to add some water and they’re ready to serve! They can choose to add more water for a smoother finish or less liquid for more bite and texture. 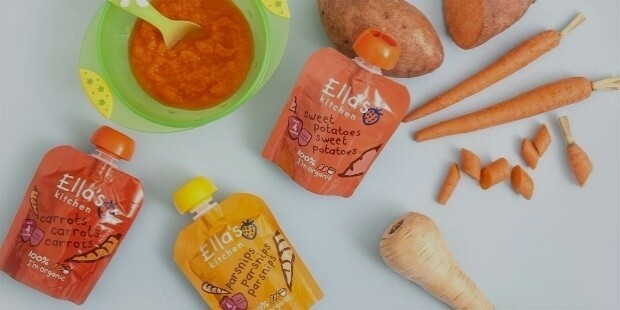 Based in the United Kingdom and approaching their products from the perspective of their target clientele, Ella’s Kitchen not only looks bright and colorful with their packaging, but their products are also formulated to ensure that babies and toddlers will enjoy them too. Their product line is also diverse given that they provide food items that cater to young kids of different age groups from as early as four months to babies that are twelve months and up, thereby ensuring that they are able to reach a broader client base with their offerings. 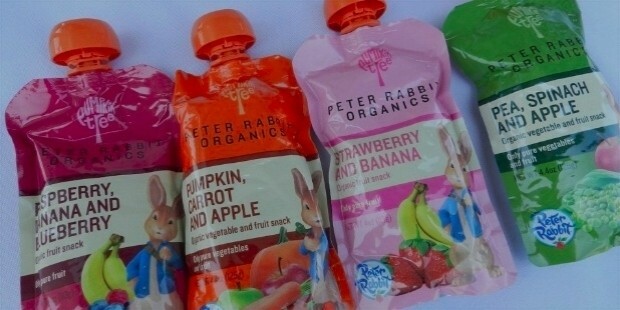 With a whimsical and totally adorable fictional character as the inspiration and face of the namesake brand, Peter Rabbit aims to bring high-quality organic offerings to babies everywhere with a vegetable-oriented line that harkens to a natural springtime garden. Familiar fruits and veggies are guaranteed by the company as 100% certified USDA organic, plus the fact that they don’t use any preservatives or additives to their products. This means that parents can relax knowing that Peter Rabbit items are safe for their babies to consume. 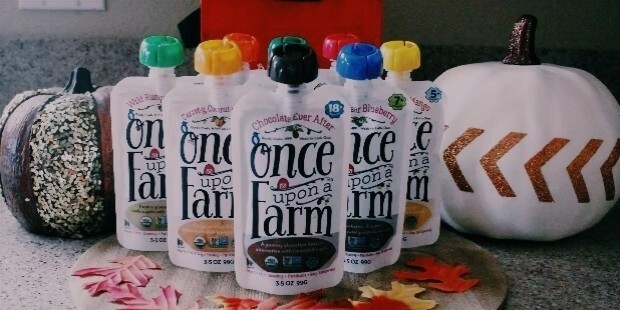 Another great brand to make a name for themselves in the baby food market is Sprout Organics, which offers a product range that promises to contain absolutely no concentrates, preservatives, and GMO ingredients—everything they have is 100% organic. 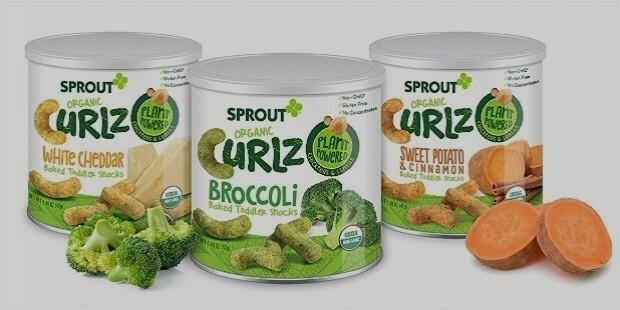 The cool part about Sprout Organics is that they also have a delicious and diverse range of snacks that older kids and even adults can enjoy. The company believes that everyone in the family—from kids to grandparents—should be able to relish their scrumptious selections. 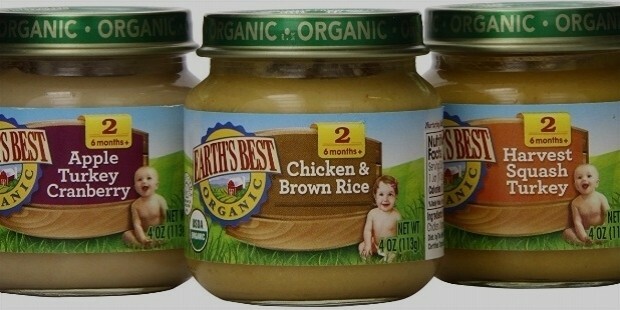 Most organic baby food products have notoriously short shelf lives due to the fact that they don’t use preservatives. Once Upon A Farm sets itself from the pack by utilizing a technique that safely processes their food without compromsing their nutritional value and taste. Because of their distinctive food processing method, the company is able to produce products where the shelf life can reach up to sixty days and still retain their freshness. Furthermore, the brand also uses sustainable packaging to adhere to their organic ethos. 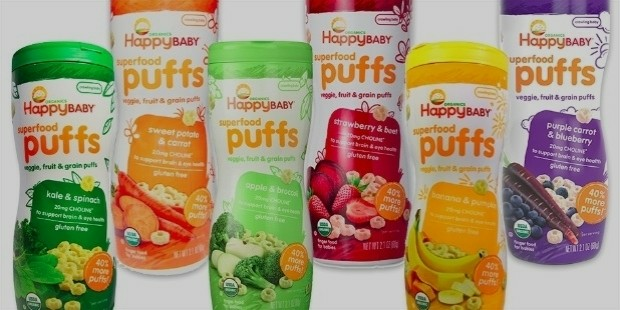 With a name like Happy Baby, parents already have that unspoken assurance that what they’ll be feeding to their babies will delight and satisfy them, and that’s what the company certainly aims to do with their line of healthy dietary options for babies and toddlers alike. The company was one of the first in the market to introduce pouches as a safer and convenient form of packaging in contrast to traditional glass jars. Moreover, the brand was also one of the first to offer gluten-free products for babies with special dietary needs. 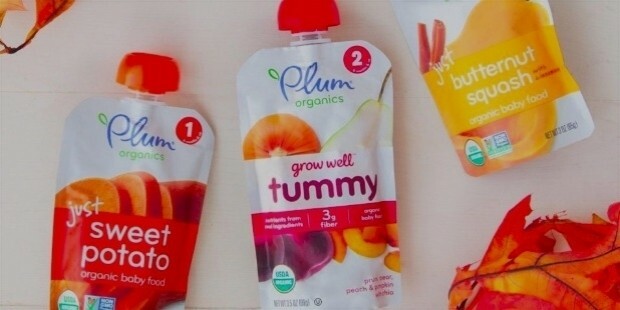 With their goal of helping babies from newborns up to two years to develop a healthy habit of eating tasty and healthy food, Plum Organics is one of the go-to brands conscious parents swear by when they want to feed their infants the best quality baby food out there. One of their most distinctive offerings include their “Eat Your Colors” food range, which is a line of products whose colors correspond to a particular fruit or vegetable, and thereby teaching kids to learn about different colors while getting used to a range of new flavors. With their ingredients sourced directly from at least four certified organic farms, Earth’s Best Organics can safely and proudly advertise their baby food products as 100% organic, with the highest quality standards in processing and containing zero GMO ingredients. The company is also bold enough to explore creative yet delicious flavor combinations to entice infants and toddlers into discovering new taste experiences. Some of their offerings include Green Beans & Brown Rice, Apple Turkey Cranberry, and Spaghetti with Cheese.